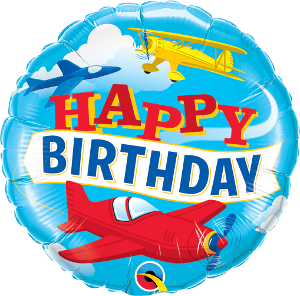 Make their birthday with this airplane theme Happy Birthday balloon! Features an aeroplane flying through clouds with the message Happy Birthday, this balloon looks great its own or add extra balloons to create a fun bouquet of balloons. Foil balloon - supplied uninflated or call in to our Worcester store & have it inflated for FREE!